Since she became leader of the Party of Wales last year, Leanne Wood has prioritised work on the economy, and she has now launched Plaid Cymru’s Plan C.
The 7 point Plan includes initiatives to share income tax powers between the Welsh and UK governments, a procurement campaign to make the most of the public sector’s £4.3 billion spend and more support for co-operatives, social enterprises and credit unions. There are new ideas to support business, such as establishing a Welsh business bank, able to make the most of local knowledge to support small businesses, crucial to the Welsh economy, but struggling to access credit. There’s a proposal for an innovative infrastructure financing vehicle, Build 4 Wales, that would be able to borrow money on the capital markets. This would be a not for dividend company, recycling its profits into further investment. It’s also suggested that effective monopolies, such as rail services, are run by a not for profit company, along the same lines as the Welsh Water company. 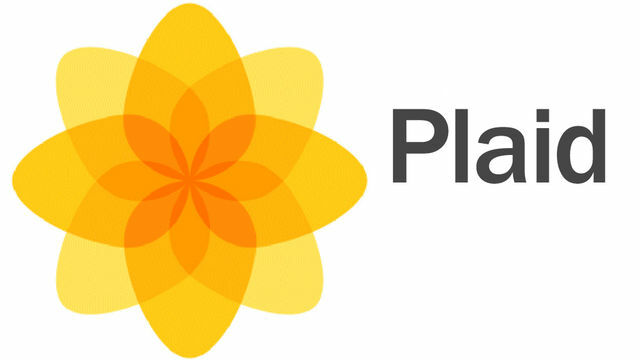 From its title it could be thought that Plaid’s Plan C is merely a sequel to Compass’ Plan B. True, some of the ideas, such as learning from the German model of regional banks, are in Plan B, but they also appeared years earlier in the Plaid’s 2009 response to the crash. So rather than seeing Plan C as Plaid jumping on the bandwagon, it would be more correct to see it as bringing together ideas the party has been putting forward since the crash. The Party of Wales has been stereotyped as only being interested in constitutional and cultural issues as if it is above consideration of the economic life of the country. However, this grounding in Wales’ cultural life and appreciation of the need to decentralise the UK state, has given the Party of Wales a strong and distinctive take on the economy from the start. This tradition is worthy of consideration by others on the centre left looking for alternatives beyond both clumsy, big state command and control models and neo liberal idolatry of the hidden hand of the market. In a recent book, Gramsci, Space, Nature, Politics, Gramsci’s distinctive outlook, which stands out from the centralising politics of his contemporaries, has been attributed to him coming from ‘the west’s most remote periphery’, Sardinia. Moving to northern, industrial Turin he was very aware of the uneven development of the economy and how this was influenced by the particular history and culture of different places. He wrote dismissively of the limitations of the ‘cosmopolitan’ view which missed important local details and treated Italy as if it were one homogenous nation, not properly considering regional or global influences on development. Raymond Williams’ journey from working class south Wales to academic life in Cambridge gave him a similar perspective and appreciation of the importance of grounding political economy in geography. A Plaid member, in the 1970s he saw the renewal of politics emerging from the periphery of Europe, not from its cosmopolitan centres. This new politics would come out of an appreciation of place and he thought Plaid offered a valuable alternative to Labour’s tradition of ‘metropolitan centralism’. Challenging the hegemony of the UK state, he wanted Wales to gain ‘real independence’, based not around the illusion of national political sovereignty but on more local economic control. In 1981 Plaid formally enshrined these ideas by adopting ‘community socialism’ as a constitutional aim. This tradition continued with Plaid championing the ideas of economists like Leopold Kohr, who opposed what he called the “cult of bigness” in social organization and Ernst Schumacher, author of Small is Beautiful. Using this thinking, Plaid set out its Economic Plan for Wales in 1970, based on a decentralised network of hubs across Wales, very much in tune with grassroots, green thinking. So in contrast to Labour’s traditional top down, big state socialism, Plaid has long advocated a greater role for co-operatives, mutuals and credit unions. In place of a One Nation, one size fits all model, Plaid’s decentralised socialism has emphasised the importance of diversity and autonomy; for nations, individuals and families. While Compass’ Plan B outlines the concept of the social investment state, as a more pared down, smaller state model of social democracy, it can be argued that Plaid have been pushing for this community centred model of social democracy since the 1930s. Welsh Labour have understood the importance of setting politics in terms of place and have successfully taken on Plaid Cymru’s key policy issues, in what has been dubbed a ‘Welshminster consensus’. This means the Party of Wales has suffered electorally, with Labour ministers asking ‘what is the point of Plaid?’ The answer to this question is surely that having two social democratic parties in Wales allows a richer politics to emerge from this dialogue between different traditions, a politics which fits real places. At the UK level, some in Labour are considering how to escape the bland cosmopolitan outlook of the mainstream British parties, exploring ‘Blue Labour’ ideas to try to reconnect with real people and real places. There’s a lot that could be learnt from parties like Plaid, if space can be found in One Nation Labour for a variety of approaches, tailored to fit the different nations, regions and geographies of the UK. A consideration of political economy around ‘place’ would emphasise the diversity of measures needed to fit different parts of the UK. It could also provide the focus for the formation of grassroots alliances, bringing together a range of interests in an area, which Raymond Williams saw as being so crucial to renewing politics and avoiding the fragility of coalitions formed only by party leaderships. Well Plaid of course have been decimated after the coalition with labour as were the Liberals seems the liberal learned nothing. Today the Tories are back in second place and the electorate look at plaid as being coalition fodder not government material. In the end you have to ask will plaid pick up the lost voters and I cannot see it.